Founded in 2017, Multilabel Group is a prestigious. high fashion retailer that carries luxury brands in Asia. Renowned brands such as JANELLE and IVAN YOUNG are the first two brands founded under the Multilabel Group. JANELLE carries only the finest handcrafted jewelries since 2010 and IVAN YOUNG recently made its debut as one of the industry’s most luxurious fashion lines. Multilabel Group aspires to be the top high-end fashion retailer, partner, employer and destination of choice in Asia. The Group is committed in bringing only the best quality handcrafted offerings to Asia paired with service excellence. The vision is to build iconic, unique and exclusive brands that provide new innovations and creative creations in the fashion industry to enrich their consumers’ lives in however small or significant ways. To begin the journey of having its footprints throughout Asia, the Group’s utmost priority and promise is to not only provide the finest state-of-the-art fashion collections made from the finest materials, but also, to deliver un-paralleled customer experiences. 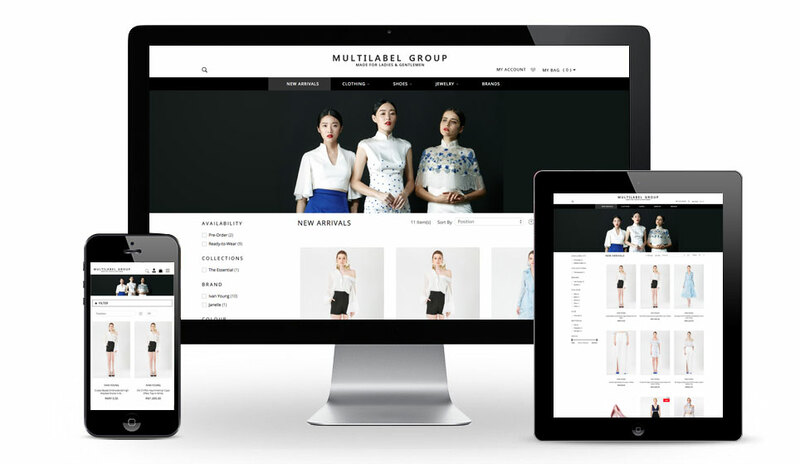 We built Multilabel Group’s online store using Magento Commerce.